A river port about 150 miles from the mouth of the Yangtze, at the mouth of the Grand Canal. Designated a treaty port by the Treaty of Tientsin 1858, a Post was established here in 1861. A concession area, selected by Parkes, was leased to Britain, lying along about 450 yards of bund on the south bank of the Yangtze. 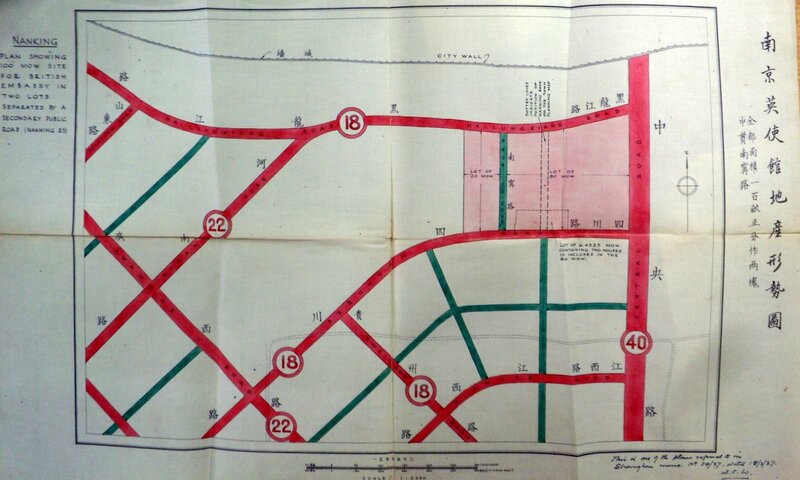 It was developed with two parallel inland roads, and divided into 19 lots. Parkes reserved a site of about 2¾ acres, enclosed by brick walls and covered with trees and shrubs, for the British consulate on a hillside immediately south-west of the concession area. The consulate’s first accommodation was in part of a Buddhist temple, for which the priest refused to accept rent, at the northern edge of this site. 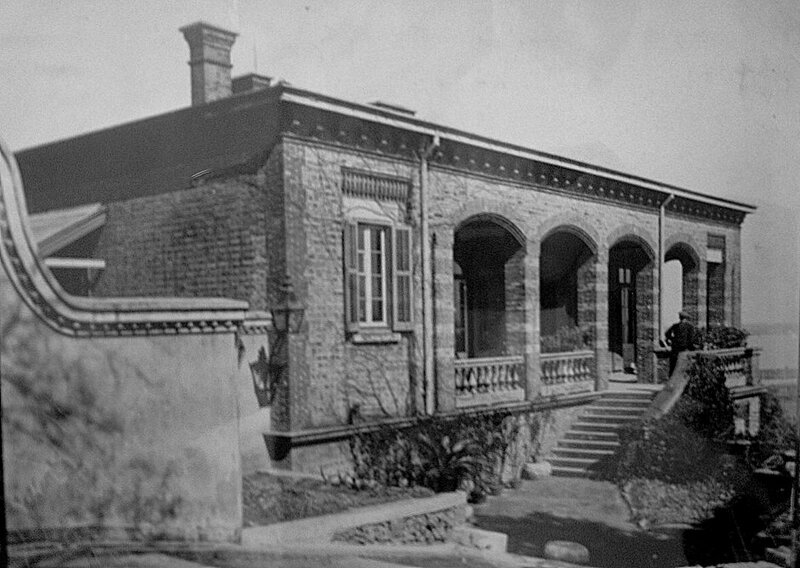 A consul’s house on one floor with offices, because of the slope, below it at the front and entered at the lower level, and constable’s quarters, all designed by Boyce, were built in 1873 on the reserved site. 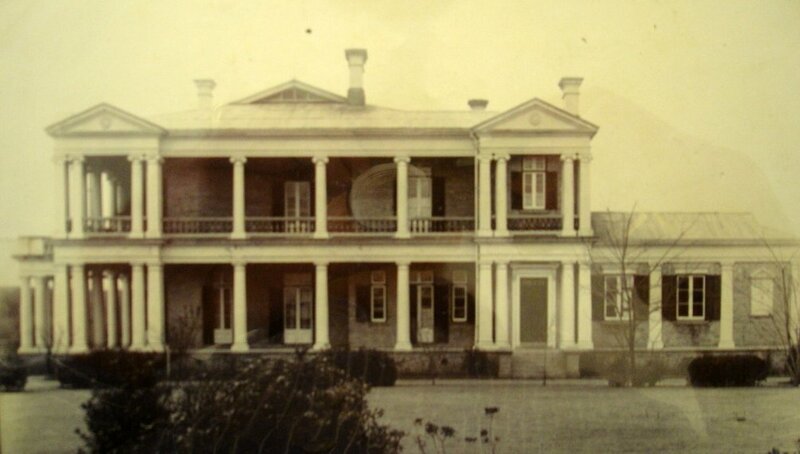 Both these buildings were looted and burned down during a local riot in February 1889 and the consulate moved temporarily into a large foreign house. They were rebuilt, with some adjustments, by Marshall in 1890, and with some compensation from the Chinese government. 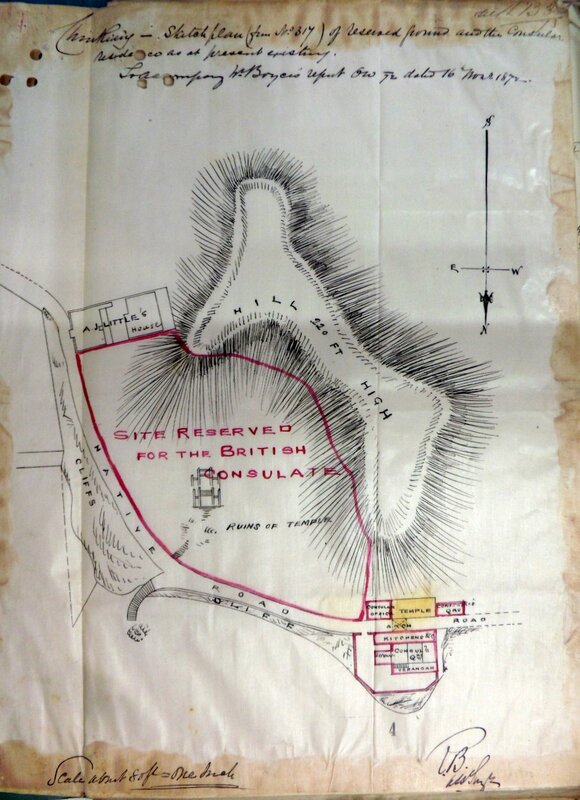 Location plan, 1872, showing British consular site and early temple accommodation. Rebuilt consulate, with offices below the residence, 1911. Location of consulate relative to Concession area, 1910. 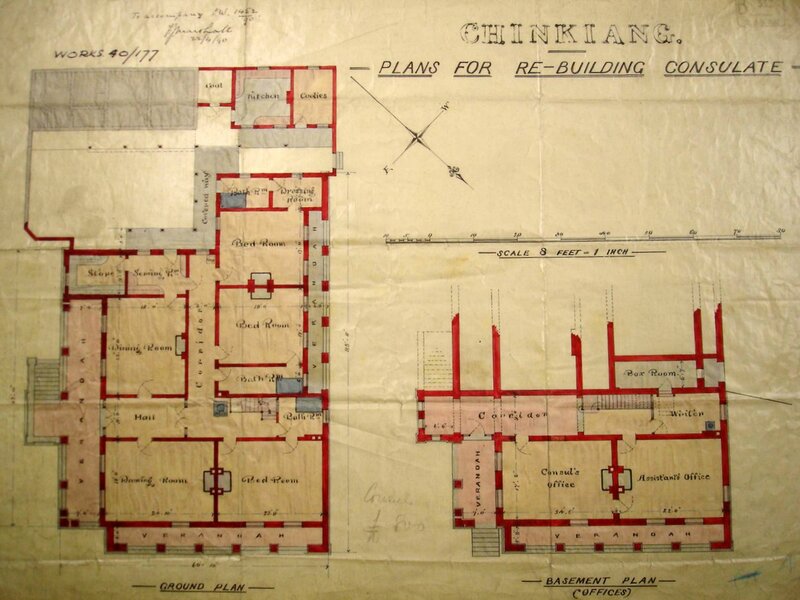 Plans for re-building consulate, 1890. Residence entrance at the upper floor, due to steep slope, 1911. River port on the Yangtze, near the Poyang Lake [?]. 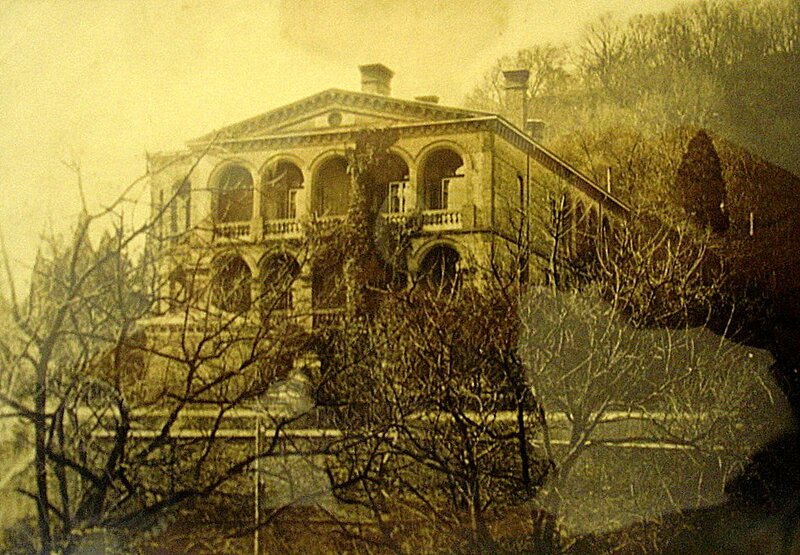 Opened in 1861 as a result of the Treaty of Tientsin 1858. The lease agreement for a British concession area between the native city and the creek was signed by Sir Harry Parkes in 1861. The area was divided into 27 lots, of which the one acre consulate site was Lot 9 (later re-numbered as Lot 4), fronting the bund. A consular residence with offices, and a constable’s quarter with lock-up, were built within a few years [or did they somehow belong to Dent and Co? ].The compound level was raised by a couple of feet in 1873. The constable’s quarters were let to Butterfield and Swire from 1922. In 1925, demonstrators broke into the consulate and wrecked it, and the building was taken over by His Majesty’s Navy in 1926, the same year that the Nationalists took the city. The concession was formally surrendered in February 1927 and passed into Chinese administration soon afterwards. The consulate was closed in 1929, the buildings leased to the Asiatic Petroleum Company, and their perpetual leasehold assigned to the Central Bank of China in 1934. 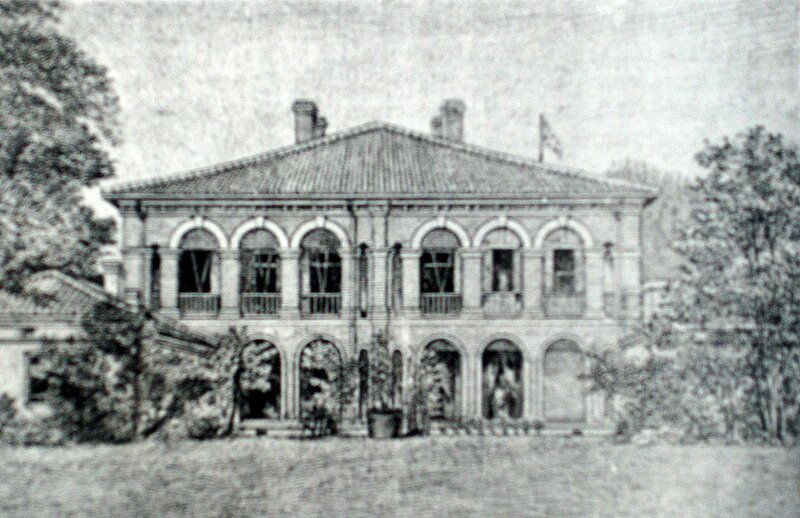 Consulate, sketch of garden frontage, 1890s. 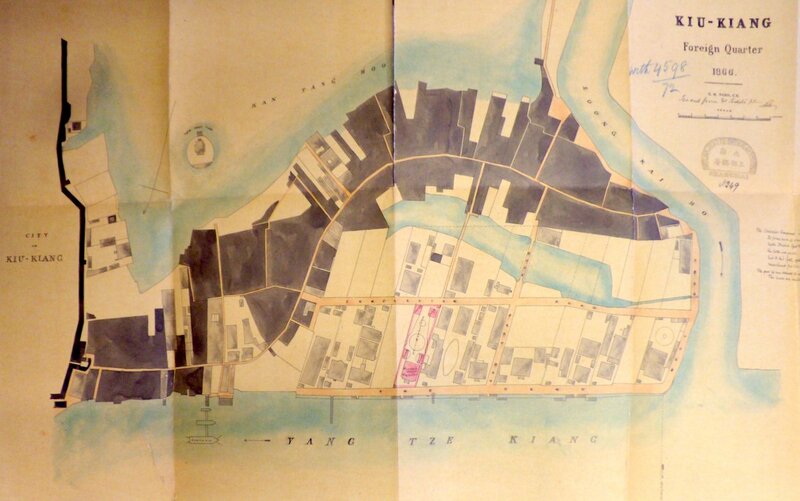 Location plan of Concession area,, 1866. Consulate site in Foreign Quarter, 1866. 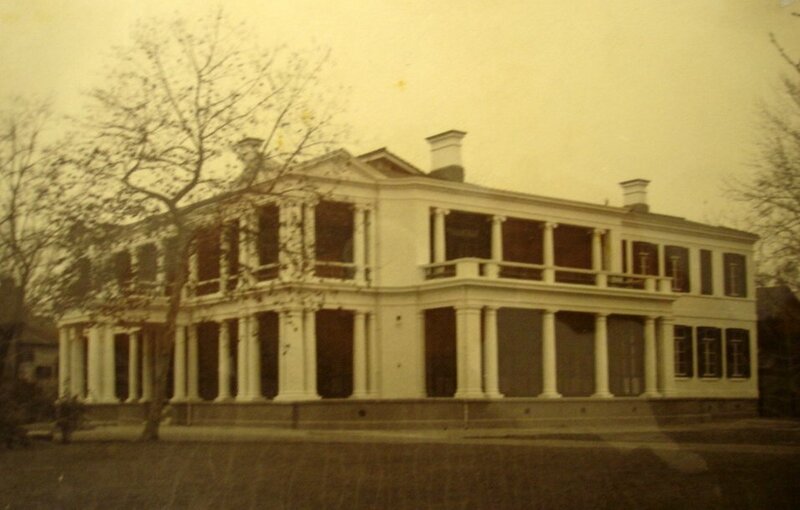 Consulate compound, 1929: residence/offices on the left, constable’s quarter on right. The former Southern Capital of China, on the Yangtze about 200 miles west of Shanghai, was envisaged as a treaty port by the Sino-French treaty of 1858 but was not opened to foreign trade until 1899. A consulate was established here in 1900, at the height of the Boxer troubles. A perpetual lease of a three acre site within the city walls was bought in 1901, and a consul’s house and offices were completed in 1906. In 1910, a small piece of land adjoining the south-east corner was bought and constables’ quarters and gaol built on it in 1921 by Simpson. Nanking, after some fighting, surrendered to the Republicans in ?1911 but the consulate was undamaged. In mid-1913, Nanking was besieged again and then taken and looted: shells dropped in the consulate compound. 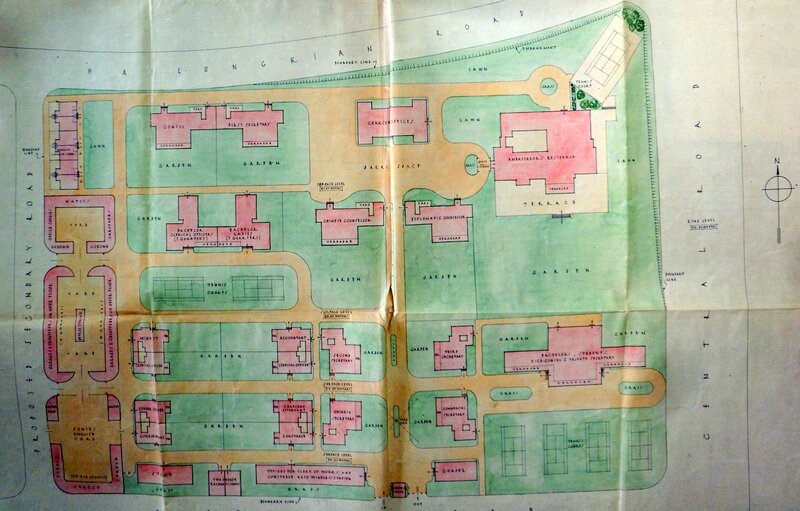 In 1920, the site to the west was bought and more offices and a vice-consul’s house built on it soon afterwards. 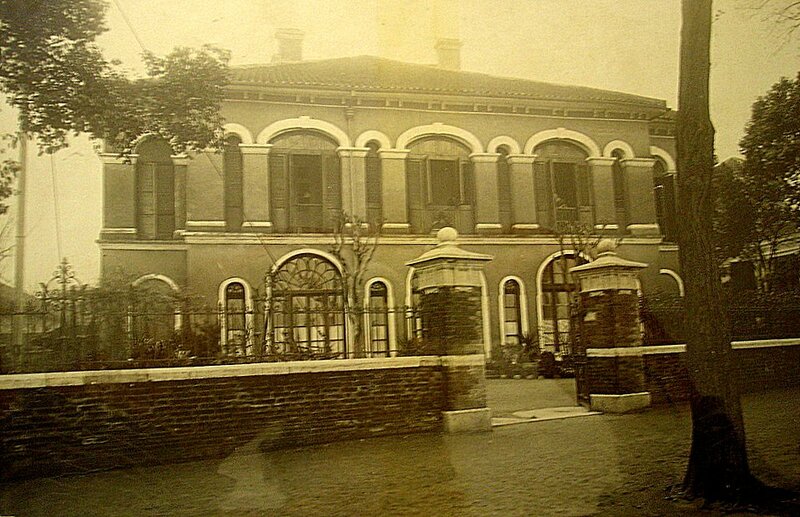 The consulate was completely gutted in March 1927 when the city was taken by the Kuomintang and was for a short while afterwards used as a hospital. Restoration works were completed in 1928, for which the Nationalist government paid full compensation. The address was Sha Ja Wan. Nanking became the Kuomintang capital in 1928, and for the next seven years the consulate played frequent host to the ambassador and staff visiting from Beijing. Two temporary bungalows were put up for cipher and clerical staff in 1929. The consul-general’s residence was adapted to become a full diplomatic residence for the ambassador in 1936, and the consul moved to the (extended) vice-consul’s house at the same time. 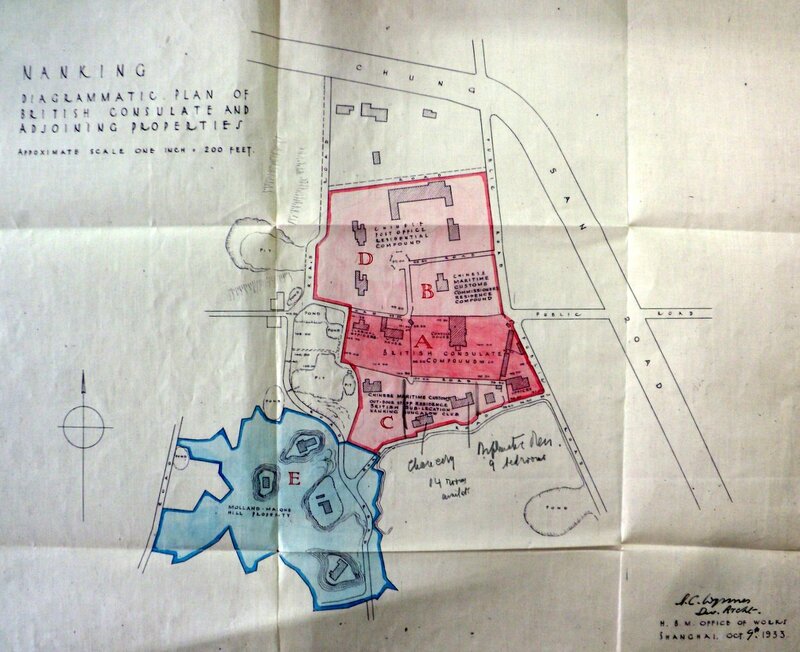 The new ambassador in 1936, Knatchbull-Hugessen, decided to base his embassy at Nanking rather than Beijing, and in 1937 the Treasury gave approval to buy for £15,700 a perpetual lease on a 100 mou site (16 2/3 acres) in the 6th Division of the municipality on which a new British embassy could be built. The address of the site was Tzu Chu Lin [is this the same as Ge Gok Ling? ], at the corner of Central Road and Heilungkiang Road: there were a couple of small buildings on it at the time. 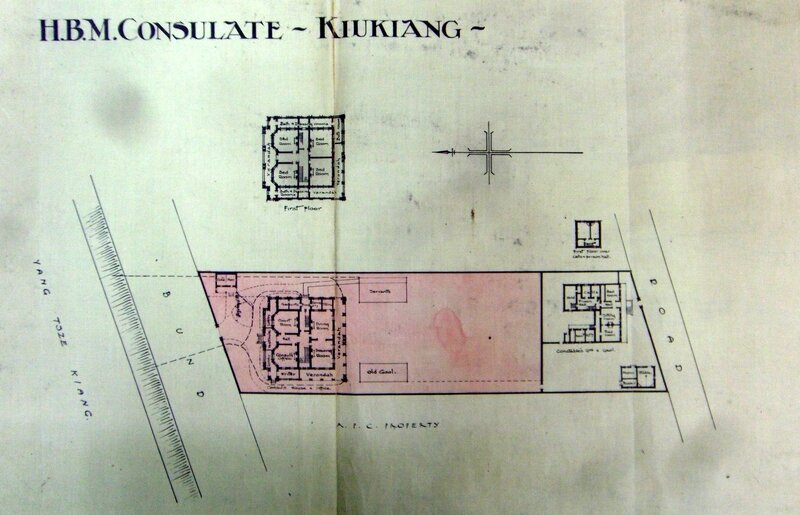 But only the title deed was signed, and numerous drawings for the compound layout prepared by Wynnes, before the embassy moved with the government from Nanking to, successively, Shanghai, Hankow and Chungking. The Japanese occupied Nanking in December 1937. During the Japanese war, Chinese military and air force units occupied the site, erecting buildings and aerials, and they never left. The site was compulsorily re-acquired by the Chinese in 1958 [?] for £183, the assessed value of a house still standing on it. Consul’s residence and offices, 1911. 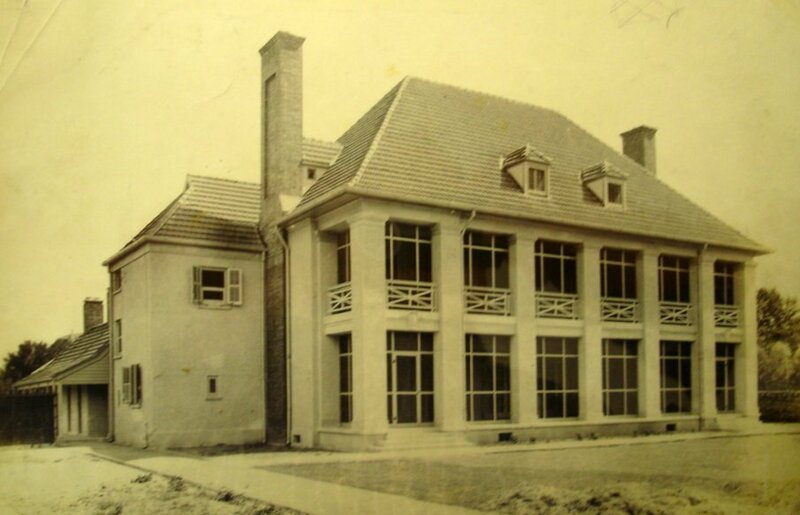 Consul’s residence and offices, ?south frontage, 1911. Consulate compound, extended on both sides, 1920s. 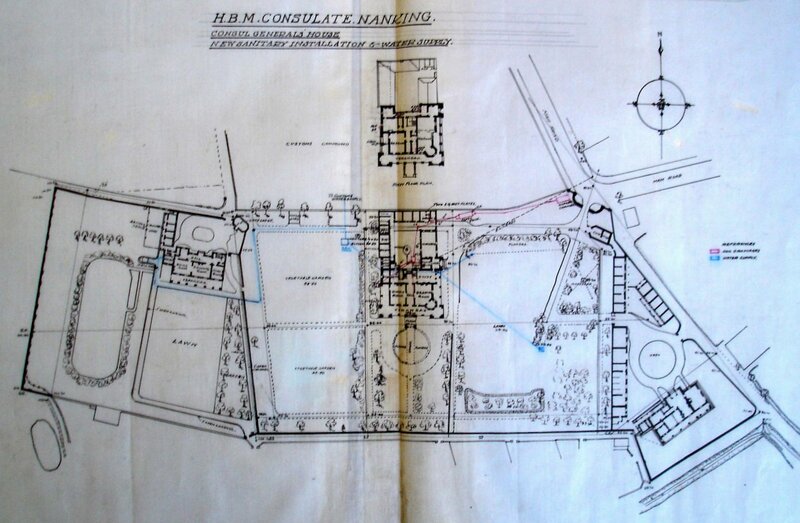 Layout of consular compoundand its neighbours, 1933. Site acquired for embassy, 1937. One of many unexecuted laypout proposals for embassy site, 1935. About eighty miles west of Shanghai, on the grand canal, and opened to trade under the Japanese Treaty of 1895. 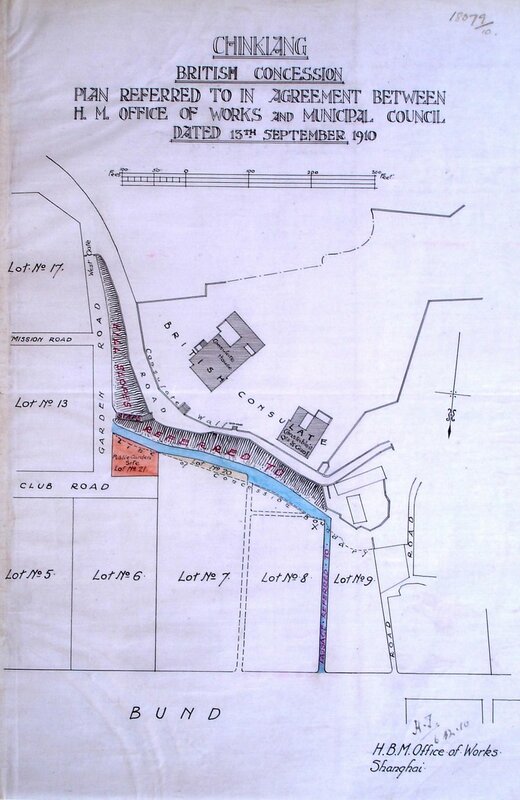 A 30-year renewable lease on land adjoining the Bund in the south-west corner of the foreign settlement was agreed in 1898 but the Post was suspended in 1901 and the site was sublet until the original lease expired in 1928.